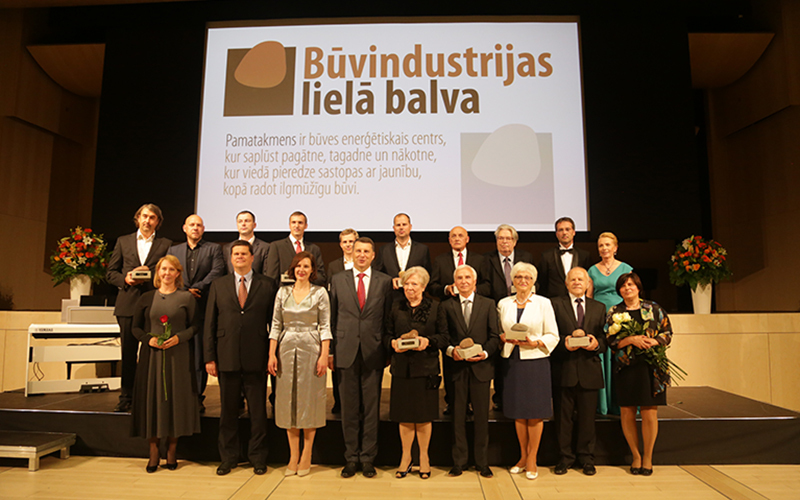 The best 12 Latvian engineers, architects, producers of construction materials, teaching staff and scientists were presented “Annual Construction Industry Award” in a solemn ceremony held on the 3rd of September in the National Library of Latvia. This award is the highest acknowledgement of the industry in Latvia. The awards were presented by the President of Latvia Raimonds Vejonis, the Minister for Economics Dana Reizniece–Ozola and the Minister for Environmental Protection and Regional Development Kaspars Gerhards. "Construction Industry Grand Prix" in category "Engineer of the Year" was awarded to Maris Veits, Engineer of the JSC (AS) UPB, designer of metal constructions. Awards called "Pamatakmens" [Foundation-stone] presented to the winners were made by Andris Vitols upon the idea of the artist Katrina Vasilevska and symbolizing thoroughness, sustainability and ability to support energetically both the buildings and humans. Jury recognition awards were also presented, and the special award from "Sadolin" was presented to Normunds Ermansons, UPB Engineer of glazed constructions. 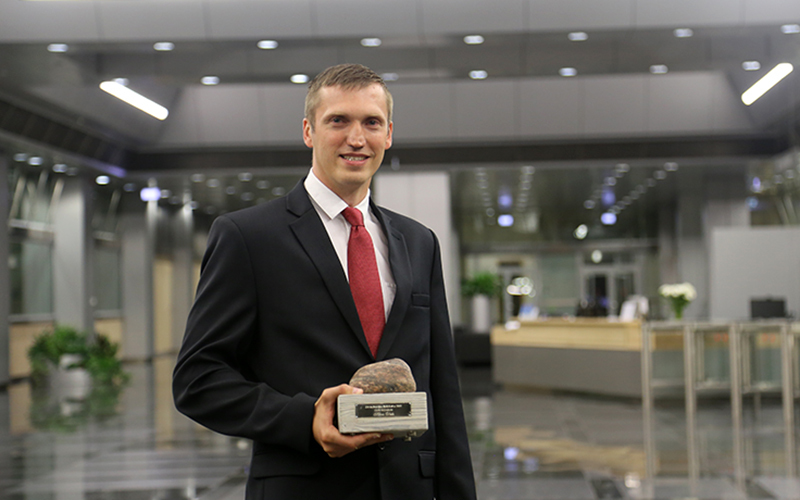 Public choice award chosen by the residents of Latvia was presented to Maris Veits, UPB Engineer, who gained majority of votes. UPB holding was granted a special gratitude for the highest number of applied nominees. 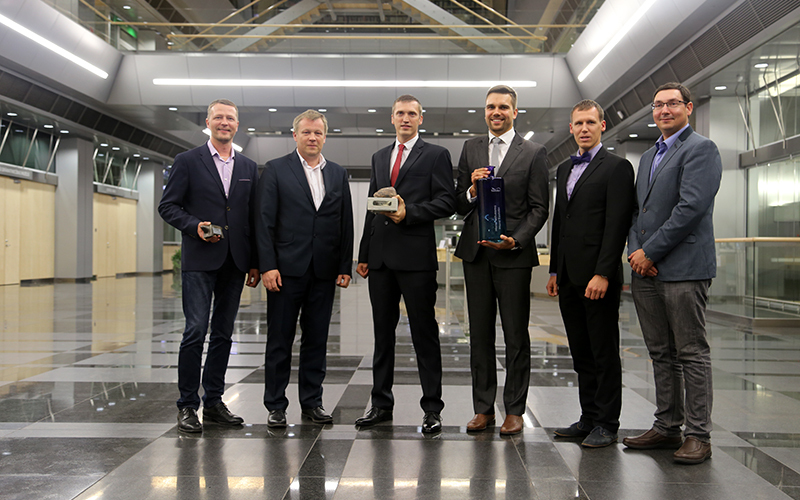 The winners of "Construction Industry Grand Prix" were assessed by 30 members of jury – construction industry professionals. 31 nominee were assessed in total, nominated by companies, public organizations, municipalities, employers, clients and private persons. Click here for more detailed information about the "Construction Industry Grand Prix".